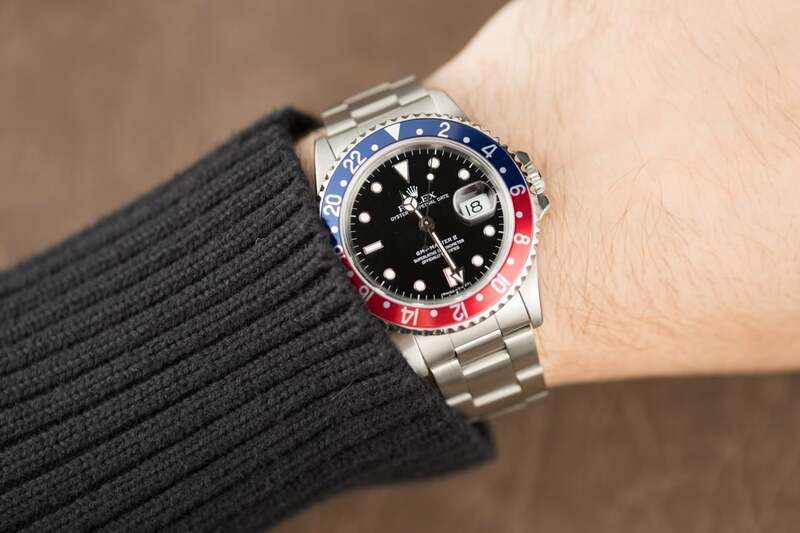 Rolex GMT-Masters II ref. 116719 BLRO is the latest Pepsi available to the public. The bezel has also faded over the years, turning into light blue and light red (almost pink) shades. The 16750 boasted double the waterproofness of its predecessors at 330 feet. 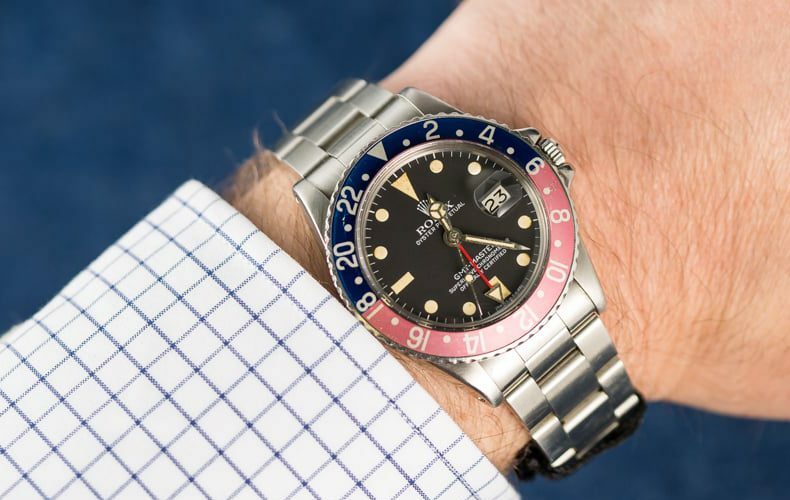 The GMT-Master II 16710 underwent a number of modifications. 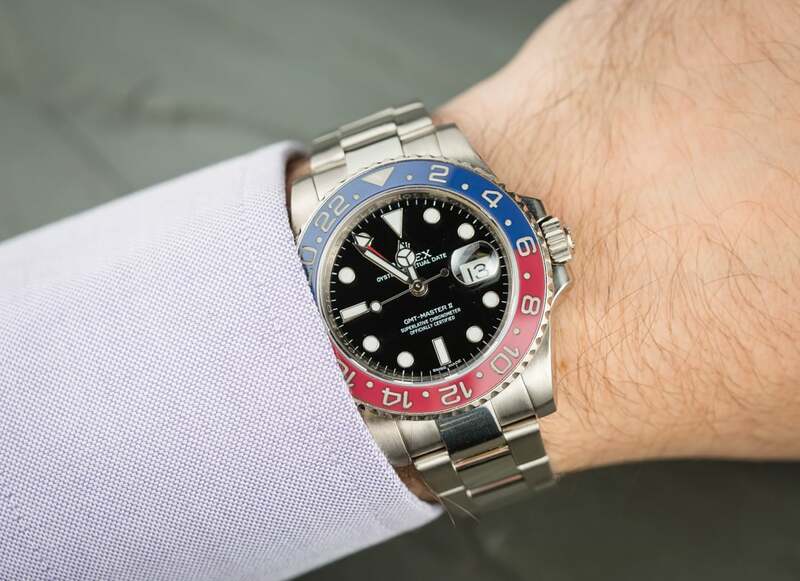 First launched in 2014, the GMT-Master II 116719 is the latest Pepsi Rolex available today. It is significantly different than the previous versions discussed above for a number of reasons. First, fashioned in 18k white gold rather than stainless steel, the GMT-Master II 116719 is ultra luxurious. Second, the highly scratch and fade resistant blue and red Pepsi Cerachrom ceramic bezel replaces the previous acrylic material. Also, the Twinlock crown has been substituted with the Triplock system for enhanced robustness and the “Maxi” dial features larger lume plots. Furthermore, although the case size remains at 40mm, it wears bigger thanks to its broader design and wider lugs. 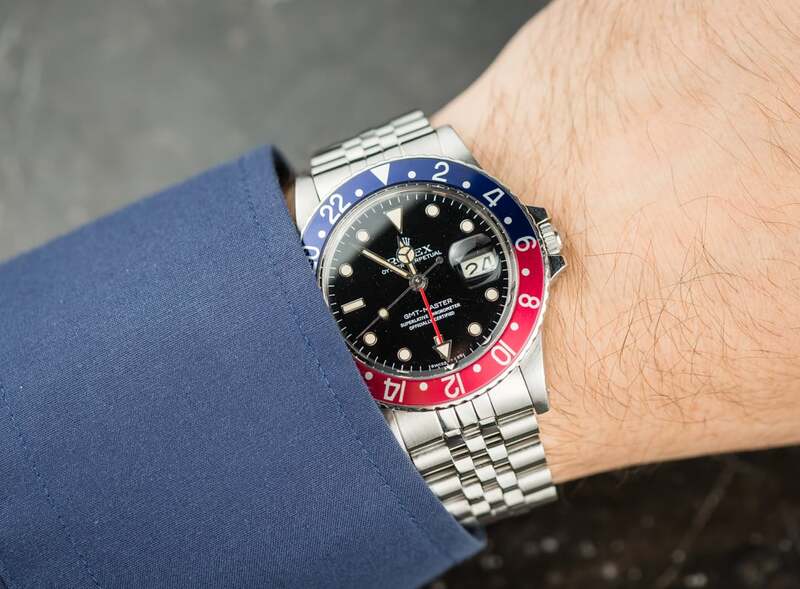 Finally, driving the GMT-Master II 116719 is the new Rolex Caliber 3186 with a blue Parachrom hairspring that can better withstand temperature variations and higher magnetic fields. 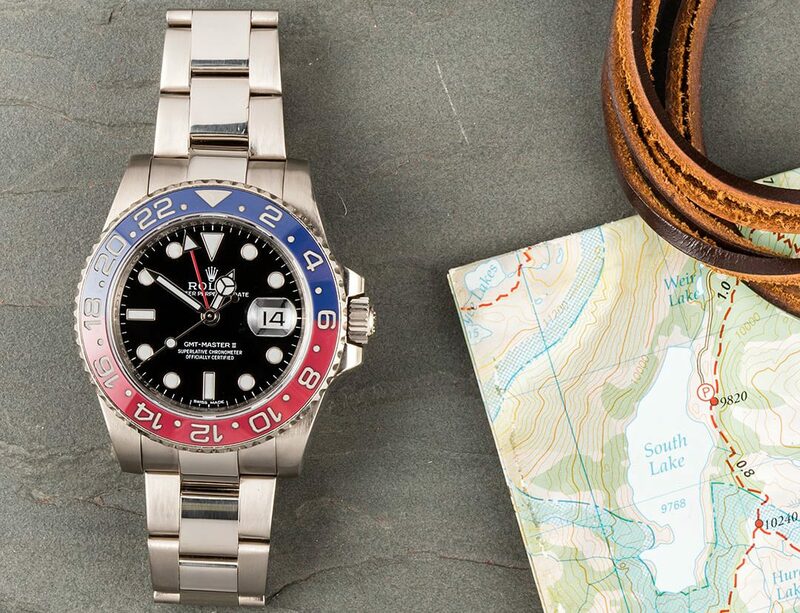 The GMT-Master II 116719 is ultra luxurious.